The Galaxy A80 is priced at $730 (approximately Rs 50,500). Samsung just recently added a new member to its Galaxy A series at an event in Thailand. The Galaxy A80 is the first smartphone to be powered by the new Qualcomm Snapdragon 730 chipset coupled with Adreno 618 GPU. 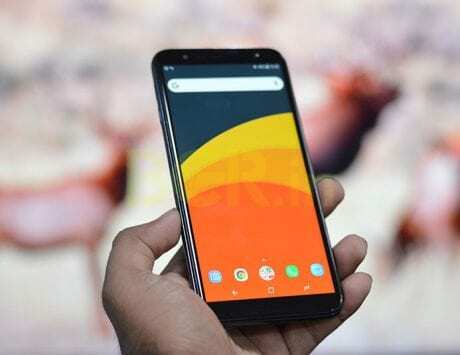 The biggest highlight of the handset is its rotating camera, which not only eliminates notch, but also enables high-resolution rear camera usable for selfies too. Now, the device has made an appearance on Antutu, showing the prowess of the new Snapdragon 730 chipset. The new octa-core Snapdragon 730 CPU leverages Kryo 470 cores clocked at up to 2.2GHz. It is built on an 8nm process and should be more power efficient. 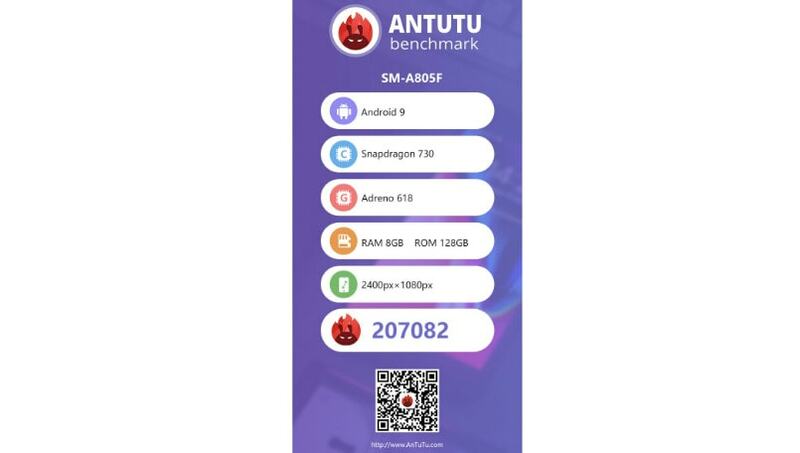 The Samsung Galaxy A80 has managed to score 207,082 points on Antutu, which seems to be on par with the Snapdragon 835 SoC, which is a two-year-old chipset. However, GSMArena reported that “it is not quite as fast as the current top dogs.” The handset is listed with SM-A805F model number. 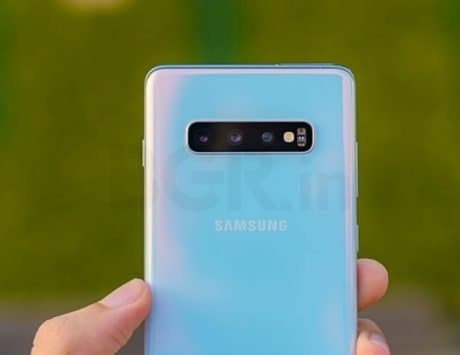 As for the specifications of the Galaxy A80, it packs an aforementioned sliding-rotating camera setup. On the front and back, there is a massive 48-megapixel primary lens with an f/2.0 aperture, an 8-megapixel wide-angle (123-degree) sensor with f/2.4 aperture, and a 3D depth ToF camera. The device features a 6.7-inch Super AMOLED panel with a 20:9 aspect ratio. The panel operates at full-HD+resolution. 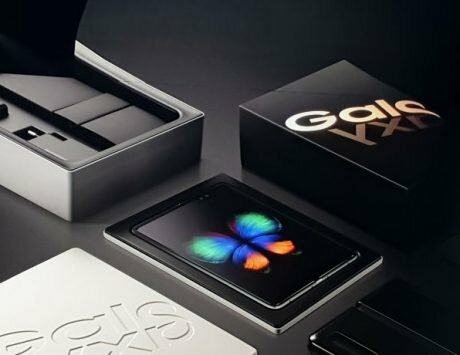 The chipset is backed by 8GB of RAM, and 128GB of internal storage option. On the software front, the Galaxy A80 runs Android 9 Pie based One UI skin on top. It is kept alive by a 3,700mAh with support for 25W PD fast charging. There is also an ultrasonic in-display fingerprint sensor. The smartphone also comes with Dolby Atmos audio integration. The Galaxy A80 is priced at $730 (approximately Rs 50,500). 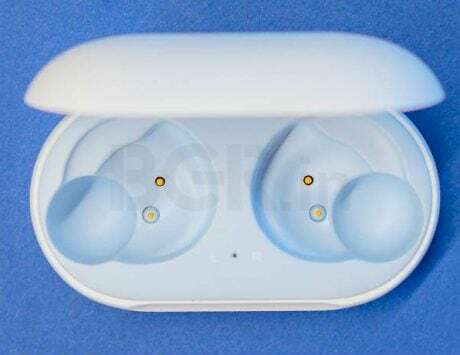 It will be available for purchase in May in three color options, which includes Angel Gold, Ghost White and Phantom Black.